This flash site is for Electronic Arts and their upcoming Spore titles for the Wii and Nintendo DS. 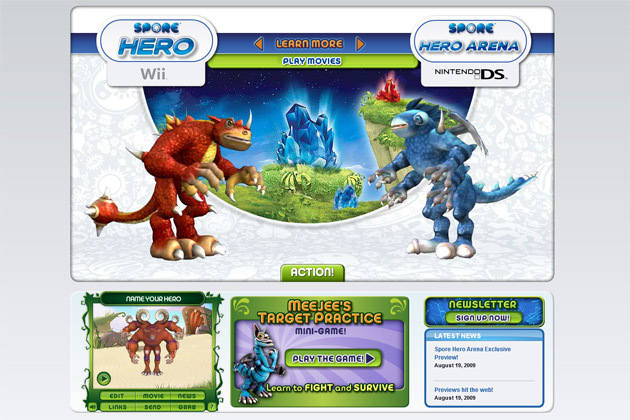 This site features a 3D video intro, YouTube videos, screenshots, unlockables, mini-games, and a social networking widget. All content was translated into several european languages. I am responsible for the design, some video editing for intro and widget, some of the animation, all of the programming of the flash in AS 2. 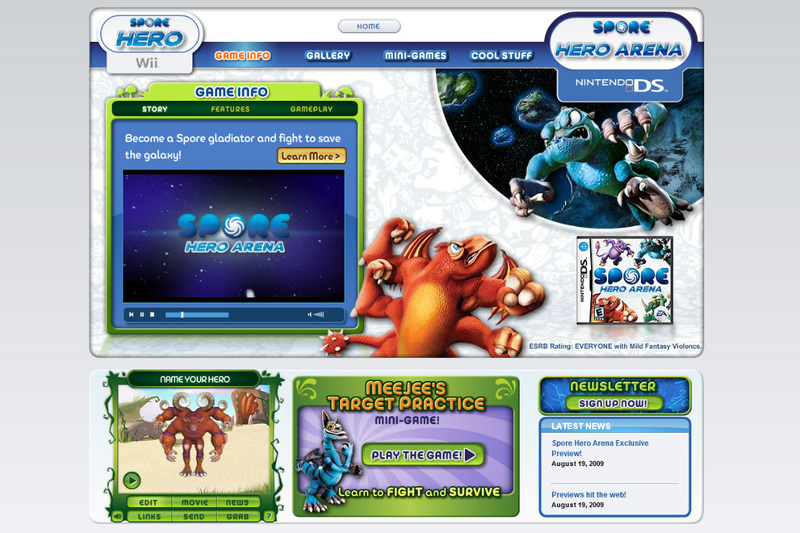 SporeHero.com © 2009 Electronic Arts Inc. All Rights Reserved. 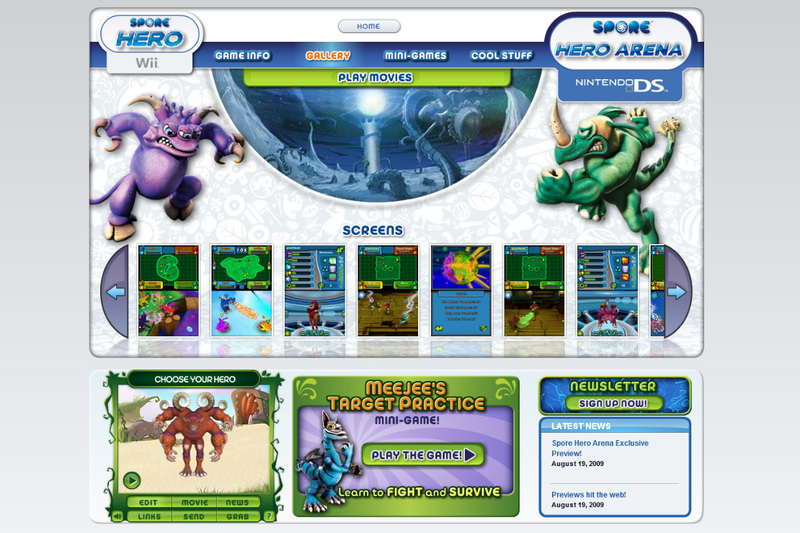 Spore Hero and Spore Hero Arena website designed and produced by Beck Interactive, Inc. 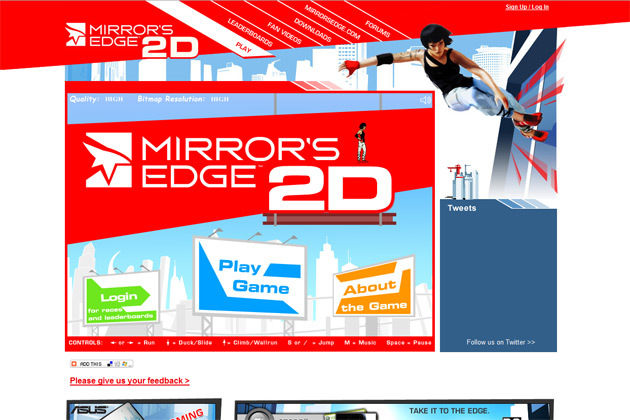 Check out the other Electronic Arts sites I helped to build also.